Making a menu can save money and helps you to be more organized. Many people don’t like to make menus. They get tired of the monotony of doing it week after week. Even though it may not be the most enjoyable thing to do, there are some real benefits that make it worth taking the time and effort. There are some things you can do to simplify menu planning. 1. The first thing to do is to go through your recipes and get rid of all the ones that you have never tried and won’t get around to trying. Then, get rid of the ones you don’t like or don’t make any more. Whittle it down to keeping the recipes that you use regularly and like. Decluttering your recipes will help you to feel like a weight being lifted. Go through your recipe books and rip out or copy the recipes you use from the book and donate, sell the book. You don’t need a lot of recipe books in your kitchen, especially if you only use one or two from a book. Check the internet to see if the recipes you like are already there. If they are, you can consider getting rid of the paper copy. Think about putting your favorite recipes on your computer. 2. Focus on the benefits of making a menu. First, you will know what is in your food if you make it yourself. Second, it helps to avoid eating out which costs more and isn’t as healthy. Third, having a meal plan and a grocery list will also help to avoid spontaneous purchases. Fourth, after making a meal plan, you can adjust your plan according to your schedule. For example, on busy nights, make an easy meal. 3. Take your favorite meals and make a weekly, biweekly or monthly menu. If you don’t like deciding what to make, you can make your meal plan once and just use the same meal plan over and over. It will make shopping easier too, as your list will include many of the same items from week to week. 4. Try making certain meals on certain nights. For example, have a pasta night, a soup night, pizza night, casserole night, etc. Another idea would be to do certain ethnic foods on certain nights. One night could be Mexican food night, one night could be Italian food night, one night could be Mediterranean food night, etc. 5. Try new recipes occasionally if you are bored with the food you are eating. It is fun to be creative and try new things. 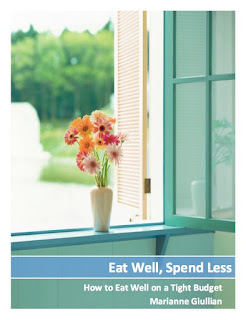 Although meal planning may not be the most enjoyable thing to do, the benefits far outweigh the cost of time it takes. You will feel more organized, save money and eat more variety and better meals if you do. You will get through the grocery store much more quickly with a list and you won’t have to worry about needing to run out for something you forgot. You won’t have to wonder what to fix for dinner at 4 in the afternoon. You will have a plan to follow and it will help to decrease some of the stress involved in cooking meals.